You see, my hubby has a “normal” relationship with food- he doesn’t ever worry about eating the “wrong” kinds of foods and if he overeats, he doesn’t beat himself up. He rarely has food hangovers if he over does it on sugar. He sometimes craves chocolate when he’s stressed, but it’s not a huge issue. Overall, he’s has a pretty nutritious diet. As I looked at my own body, which I have learned now to love unconditionally, regardless of my size, I felt somewhat inspired to join my husband on making personal fitness goals for myself. Suddenly…I could feel a twinge of something in my chest, and I knew it was my “Inner critic” coming up – the part of me that used to run the show, that criticized me for not being lean enough, muscular enough, pretty enough…basically just not good enough! In a non-judgemental manner and curiously observed my own “Inner Critic” coming up. It’s funny that although I now love myself unconditionally at whatever size I am at, and as a Food & Body Image Psychologist who empowers people to find freedom in their relationship with food, lose unhealthy pounds (and keep it off! ), and love their body in the process – sometimes I feel like there’s this unspoken rule in our society that states: You can’t make fitness goals that are physically (aesthetic) because it doesn’t really mean you truly love yourself as you are. Loving your body at any size – a bad thing? When you read about body positivity posts and articles in social media, it’s almost always about loving your body at any size. I absolutely agree. It also states that you should reject diet mentality. I also agree…but then what happens is that this “reject diet mentality” totally gets flipped upside down on its head, and people are “letting themselves go” – meaning they are eating “whatever they want” and as a result, gaining unhealthy weight. At least, that’s what I see a lot in my practice at first. I’ve been examining this with much curiosity (and non-judgement of course!!!) and although I’m all for loving your body at any size – I also think it’s really important to know how to TRULY respect your body in order to love it. Respecting your body not only means to nourish it with nutrition that will bring you energy, mental clarity, a strong immune system, a healthy digestive system, revved up metabolism and muscle building capacity – but it also means to nourish your body with kindness in the forms of Positive Self-Talk, Self-Love & Self-Compassion, so your own emotional and mental needs are addressed too. In my previous blog post about “Can I still be on a Diet AND Be On a Journey of Self-Love?” I wrote about how there’s almost this phenomenon that occurs where we go through a pendulum swing from Rigid/Restrictive Diet Eating to Rebellion Eating before we really dive in and do some TRUE soul searching in our relationship with food. As someone who’s personally recovered from disorder eating (i.e., years of chronic dieting and perfecting my body), I’m now at a place that when I want to make fitness goals, I know I can do it from a place of true self-love. I’ve healed my wounded parts of my self and can manage enough to know that she won’t drive the bus, ever again…but that she’s still very much a part of me, and she still sometimes pokes her head out (as you read above)- which is when I need to let my Empowered Self take over and give her some love and compassion. I also know I have the right, as much as anyone else does, to make fitness goals. I have the right if I wanted to, to change my physique. I admit, I do love it when I can see the definition of muscle in my arms, chest, abs, legs a bit more. I have the right to feel this way. I also want to emphasize that for me back then, it was about the aesthetics, and today, it’s more a reminder of how amazing my body is in it’s strength, resiliency, and resourcefulness inside and out. When I was suffering from disordered eating and body image struggles, I could appreciate my muscle definition, but it was still never “good enough”. I wanted to get more lean, or get rid of more body fat. I was doing a transformation from a place of fear – fear of not being enough, fear of body fat. Now when I look at my body, it’s softness and curves, beautiful stretch marks from birthing 2 healthy sons, and the definition of my muscles underneath (because I have body fat- and I say this in a neutral matter of fact kind of way) I appreciate and love all of me... AND I still know I have the right to make physique changes if I want to, and as I’m doing so, I can appreciate the physical changes my hard work is creating. Today, I would NEVER say to myself, “Oh, X more pounds or inches to go“. I just appreciate the art form my body is, no matter what shape or size along the way. I appreciate my inner health. I appreciate the journey – and I no longer hold the BS belief that “Until I lose the weight/ or have 6 pack abs, then I’ll be happy”. That’s because my inner dialogue has changed completely. Now, if I choose to transform my physique, I’m operating from a deeper place of true Self-Love – I don’t fear body fat anymore (as you’ll see here in post, where I celebrate my body post-baby), I don’t fear not feeling good enough anymore, I don’t care what others think anymore – because I am worthy and I am enough as I am – my worth is not linked to my weight, size or shape. Not too long ago, I had someone who had not seen me in a long time tell me, “Hey, you look like you’ve lost some weight- I can see it in your face- it’s slimmer”. In the past, that would have been a compliment that made my day. And now, I have no excitement about it. Honestly!!! In fact, I just shrugged and said “Maybe? I haven’t been really noticing…but it’s possible”. This has happened to me a few times over the past couple years -and I honestly don’t feel a twang of excitement. I see it as someone’s perception of my physical being in that moment in time- and it doesn’t really matter. Again, it’s because my worth is not linked to my weight, size or shape. I have been 20 lbs lighter than I am now, and I have been 15 lbs heavier than I am now (not including pregnancy body), and I’ve been strong and fit at every size, but not emotionally or mentally fit at every size- specifically when I was 20 lbs lighter (competing in body building). I was constantly anxious around food, my weight, and wondering if my belly was flat enough. I’ve had my then perfect body but how I got there was not out of Self-Love. I was completely operating on “not good enough” and as I was transforming, the negative Self-Talk didn’t stop. So how was I to expect everything to change overnight once I did get my “then” ideal body? Having the “perfect body” (whatever that means to you) does not bring you true happiness – changing your own relationship with you does! What matters most now is how I feel about ME and how I SHOW UP in this world. What matters is that I’m living a purposeful life (and when I was so focused on what my body looked like and how others perceived it, it took away my life force energy to serve a deeper purpose in this world). I know I’m a power to be reckoned with because I no longer let “Inner Critic/ Diet Self” drive the bus. And my Inner Hero wants to make some fitness goals – and these goals are focused primarily on providing my body new challenges to reach new heights physically (lift more, build endurance, flexibility, agility) for myself. As a result, my body composition and physique will change. Embracing change is good. And change happens in various directions. Embracing this is better because it allows you to have a flexible mind. My point is, it’s okay to love your body AND want to make physique changes too, as long as it’s coming from a place of a healthy mindset!!! What truly matters is the foundation you’re coming from because true transformation is an inside-out job. 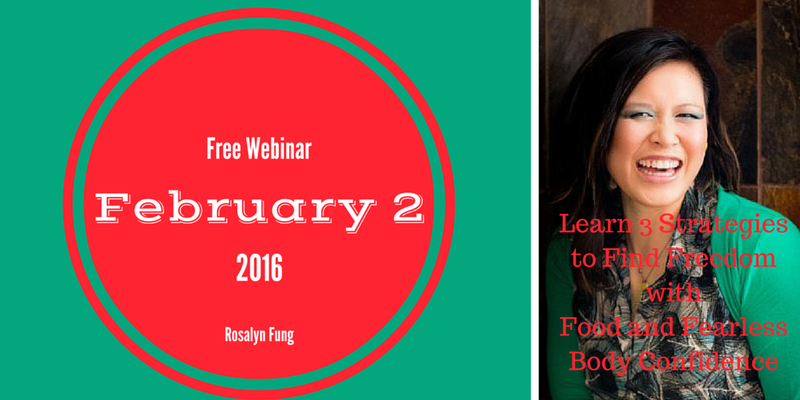 Rosalyn is offering a FREE webinar: How to Stop Self-Sabotaging Your Weight, Eating Habits and Body Image on Feb 2 (replay available)! It is so important to learn to eat the right things, not because you’re on a diet but because you are nourishing and loving your body. Instead of denying yourself ‘treats’ start thinking about what you’re putting into your mouth and how it will benefit your body. It can be very easy to get back into old habits of self criticism when you set yourself a new physical or aesthetic challenge but as Rosalyn states beautifully, as long as you love your body and treat it well there is no reason you can’t push yourself further, see what you’re capable of. It’s all about discovering your body, appreciating what it can do and finding your own balance! I had just got to a place where I was happy with my body and then it has let me down — after 12 years of careful eating and exercise, my blood sugars went over the limit and now I’m officially diabetic (its a family inheritance). OK, its very late onset at 53, but I feel very let down. I’m told I need to lose 5 kilogrammes and it just won’t come off —trouble is that the medics look at weight and not at the muscle I’m building. Although, yes, the roll of tummy fat form the first baby is still there, smaller but still here. I’m not sure it will ever go! Hi Cheesesellers Wife, thank you for sharing. It’s a huge grief process what you’re going through, keep nourishing your body with holistic body love (mind, body and spirit). Embrace your beautiful tummy roll, it’s a reminder of the miracle of your first baby 🙂 If you’re interested, I hope you’ll join me on my webinar! 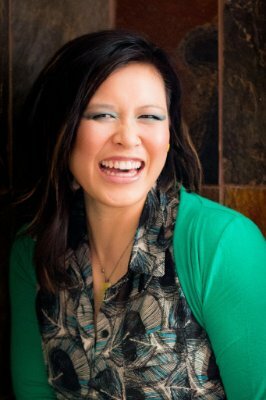 http://www.holisticbodylovewebinar.com to sign up! I think as we get older, we learn to appreciate ourselves more. We stop fighting our body’s natural need to get rounder and curvier. Hi Eric! Sometimes that is true, unfortunately I do see many clients in their 40s and 50s who still have a difficult time appreciating their bodies, so I love helping them shift their mindset in doing so! thanks for your comments! Great post# very interesting! I think most humans are critical of themselves. Thanks so much for your comment! Yes I think we are harder on ourselves than anyone else! Great post. I have struggled with my inner critic and being 25kg’s overweight has not helped. In the past week I have decided to feed my body good nutritious food, that I love. The berries and stone fruits have been delicious as it is summer and the salads made fresh from our garden are just amazing too. I am enjoying eating delicious whole food, a lot of fruit but also a lot of nutrition. I lost 2kg in 2 days and have stalled. My inner critic is yelling it’s not enough, and I am gently replying back, you are enough, you are nurturing yourself, continue gently and slowly. Replay will be available! Hope to see you there!! !